On October 16th, the children, and their teaching staff, will be able to touch, feel and even smell animals and their produce. 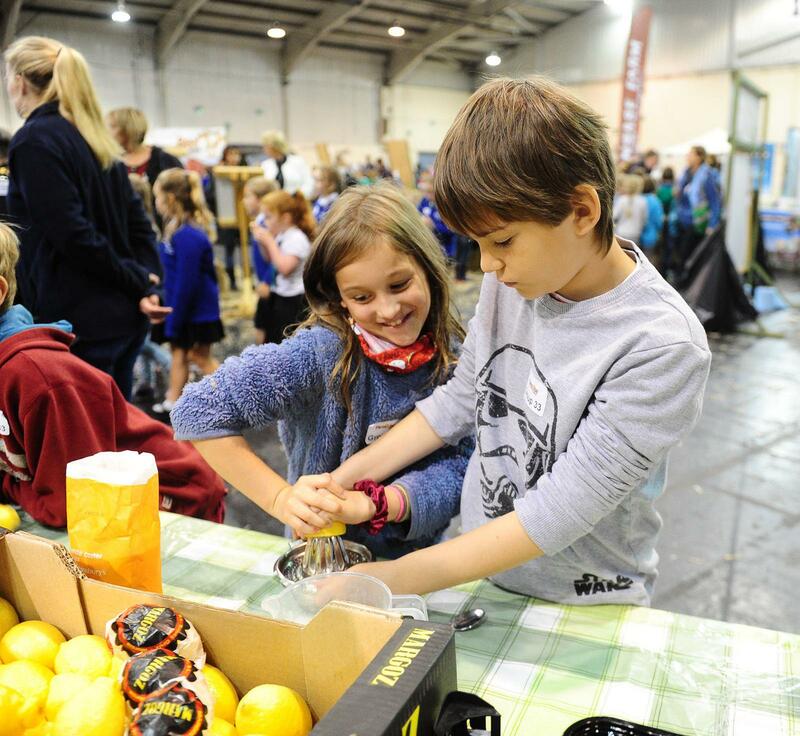 The organisers aim to send the children back to school understanding why farming is important for Devon, what sort of foods come from Devon farms, and why farming is so important to the environment. Westpoint will be split up into “zones” of activity, with different aspects of Devon farming portrayed in each zone – dairy, beef, pigs, vegetables, wildlife etc. The poultry section is always a firm favourite with chicks hatching on the day. The majority of the sections, particularly the animal zones, have hands on experiences which really brings food and farming alive to our young visitors. To be able to see a cow being milked, and then turn the milk into butter – all under one roof and in one day, is a wonderful experience for these children. Likewise, to be able to see compost being made and then used for planting, and then the plant being used to create delicious jam or juice, make the children fully aware of the circle of life of food. The day is manned by a fantastic team of volunteers with a wealth of knowledge and expertise. We are delighted to welcome so many of the Devon County Council farm tenants and their animals. These hands-on farmers, and other volunteer organisations, will be able to answer any question the children put to them.